Here are the best AKG headphones that deliver superb sound performance with professional-grade quality sound. These headphones are designed with comfortable ear paddings for long listening sessions and can really bring out the details in the music with high-quality acoustic drivers. Our experts have tested these AKG headphones to determine which ones are the best. Furthermore, these headphones are engineered to deliver a wide sounding frequency range for you to pick up details in the music that you might not have heard before. If you are looking for some of the best AKG headphones that can deliver professional-grade sound quality, be sure to check out our top picks below! The AKG K240 Studio Headphones are semi-open professional studio headphones that deliver crystal clear and accurate sound. Their XXL transducers use the AKG’s patented Varimotion diaphragm to ensure accurate response at any listening level and deliver a wide and three-dimensional soundfield. Their low 55-ohm impedance provides high volume level when used with portable studios, keyboards, drum machines and they are efficient enough to be used with lower level output sources. Their high quality components ensure loss-free transmission and reproduction of high-resolution signals from all types of digital audio sources. In terms of sound quality, the AKG K240 has a very analytical and spacious sound signature – the headphones have a good level of soundstage which is great for orchestra and instrumental performances. Listening to the K240 headphones feels almost as though you are sitting in a real life concert hall with spatial separation and sound placement. They include an integrated semi-open air design with a highly accurate dynamic transducer and an acoustically tuned venting structure behind the element for open sound quality. They cover a frequency range of 15 Hz to 25,000 Hz and feature stereo (1/8-inch minijack and 1/4-inch) connections with a single cable for ease of use. Their circumaural (around-the-ear) pads along with the steel-cable, self-adjusting headband construction make them comfortable to wear for hours. They come with a rugged construction that ensures durability and you can use the headphones on a single ear only, or wear them in any other way you prefer. The package also includes the OFC screw type cable. Overall, these are some of the best AKG headphones we have tested with a semi-open spacious sound signature and comes highly recommended. The AKG K702 are reference open studio headphones that are made for precision listening, mixing and mastering. They cover a wide frequency range from 10 to 39800 Hz, they have sensitivity of 105 dB SPL/V and a rated impedance of 62 Ohms.Their maximum input power goes up to 200 W and they deliver accurate, crisp sound performance with a wide soundfield. This is achieved thanks to features such as their Varimotion two-layer diaphragm for improved high-frequency range and better performance at low frequencies. Their flat-wire voice coil contributes to their high sensitivity, their impulse as well as their treble response. The sound quality of the K702 is spacious, clean and very crisp. 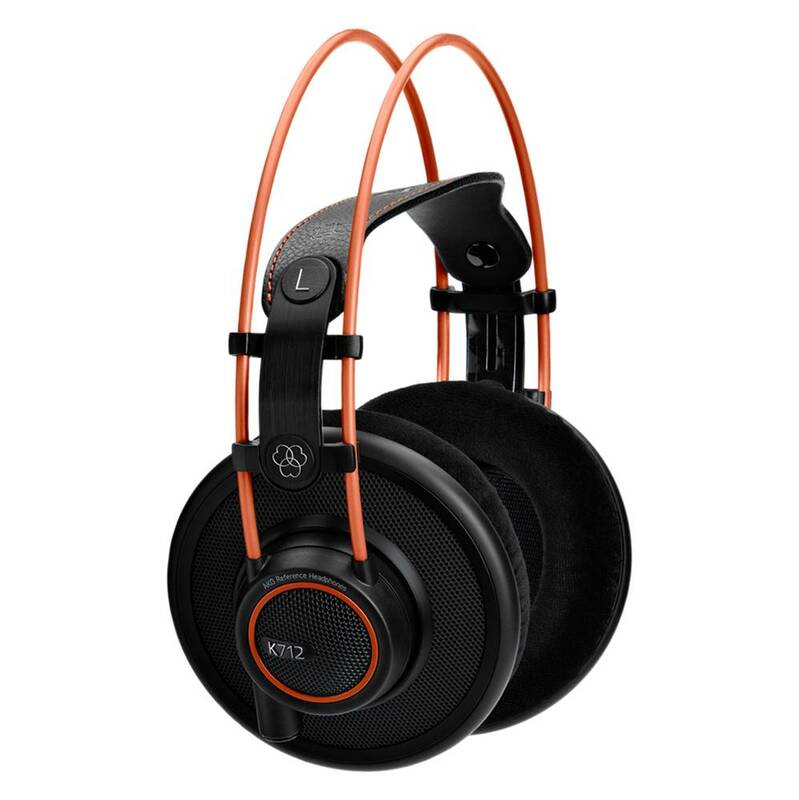 It has a level of sophistication that you would normally expect from higher end headphones, with spacious and airy sound that brings out the best in audio recordings. If you love instrumental and orchestra music performances, the K702 are headphones that you should definitely get. The K702’s open-ear technology provides the listener with spacious and airy sound which creates a wide and three-dimensional sound-field. Featuring over-ear design, 3D-foam ear pads and a padded genuine-leather headband, they ensure a snug fit as well as wearing comfort for long work sessions. Featuring wired connectivity technology, they come with a high-performance 3 m cable and they provide a professional mini XLR connector for quick replacement of the cable. The cable is detachable and the earpads are replaceable, ensuring durability of the headphones. 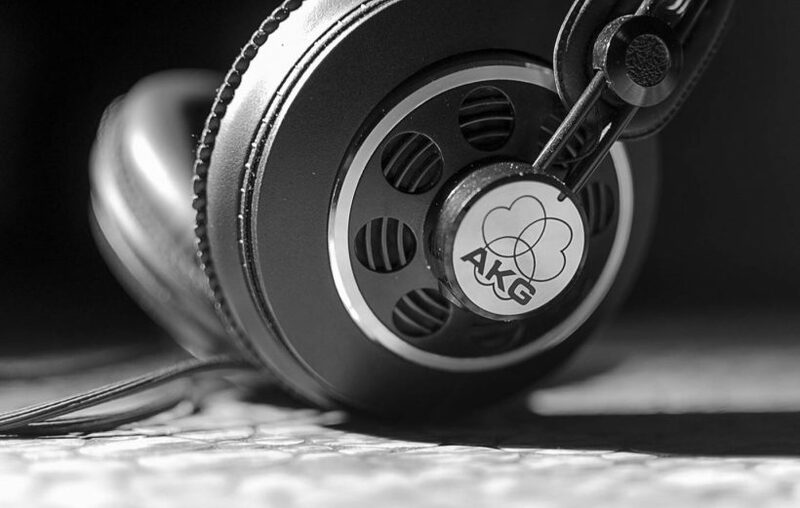 In addition to that, the AKG K702 headphones are individually tested and serial-numbered. 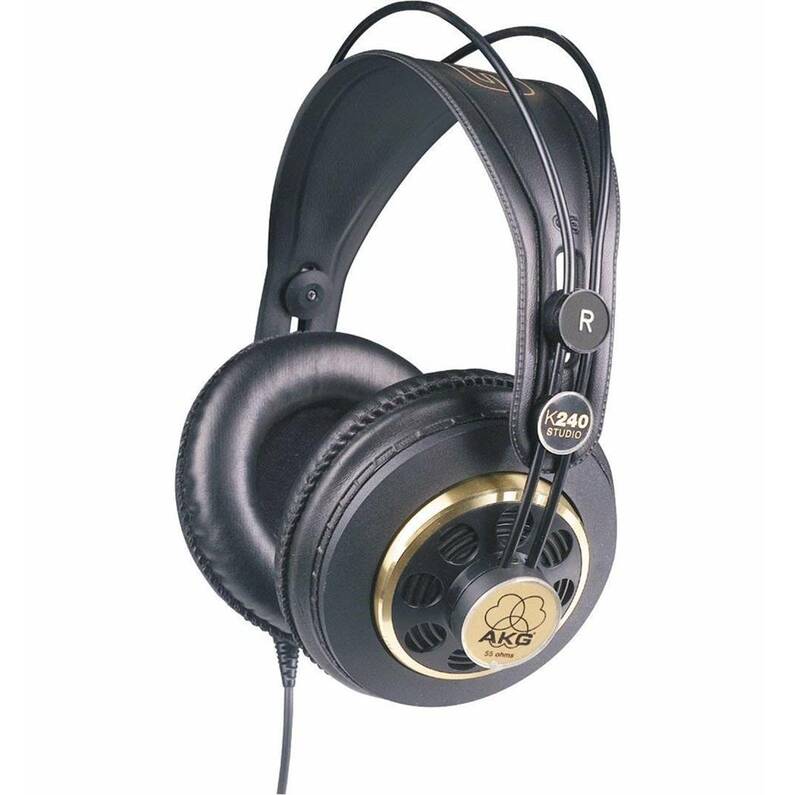 The AKG K 240 MKII are professional stereo studio headphones made for studio monitoring and high fidelity listening. They deliver premium sound quality thanks to their Varimotion 30 mm XXL transducers that ensure accurate signal transfer and a wide dynamic range. They cover an extended frequency range of 15 – 25,000 Hz, their nominal impedance is 55 Ohm and their sensitivity is 91 dB/V. In terms of performance across the frequency spectrum, they deliver solid low end, accurate and smooth mids and crystal-clear highs. Listening to the AKG K240 headphones feels like listening to a set of high-end open headphones with airy spaciousness. These headphones are able to project sound while maintaining a good deal of separation and soundstage; music performances sound lifelike with great attention to detail. The semi-open design provides the airiness of open headphones with the powerful bass response of closed designs. They come with over-ear design as well as a self-adjusting headband for an optimum fit and comfort during long work sessions. The materials used ensure solid build quality and durability. They feature wired connectivity technology with a stereo plug of 3.5mm (1/8-inch) with a 6.3 mm (1/4”) screw-on adapte. The set includes an extra pair of velour pads to choose the pads that you prefer as well as an extra cord. The headphones also feature detachable mini XLR cords. Overall, the AKG K 240 MKII are a budget choice that can satisfy even demanding audiophiles. The AKG Y50BT headphones are on-ear wireless headphones that deliver crisp and detailed sound performance with exceptional low end response. They feature 40mm drivers for balanced powerful sound that covers the whole audible frequency range (20-20.000 Hz). They have sensitivity of 113dB SPL/V and 23 Ohms of impedance. The AKG Y50BT also has a built-in microphone on the right cup enables the user to take calls. These headphones have Bluetooth enabled for both music and calls while they also feature ear-cup mounted controls that are easy to use. The battery’s life runs for more than 20 hours with a single charge and even if you run out of battery, the headphones work with a by-pass 1.2 m detachable cable that allows you to enjoy your music. Music performances on the AKG headphones sound crisp and crystal clear, with a surprising amount of bass response. The bass hits hard and feels tight and punchy, but does not muddy into the midrange frequency ranges. The highs and mids remain crisp and clear throughout. The AKG Y50BT feature sleek and modern looking design with three bold colors and surfaces specially coated for a hybrid matte glossy look. Their lightweight design along with thick foam makes them comfortable to wear for long hours. A detachable cable, a micro USB charging cable as well as a fabric carrying pouch for the headphones is included in the package. On the whole, the AKG Y50BT are stylish on-ear wireless headphones that are highly recommended for enjoying premium quality music on the go. The AKG Pro Audio K92 are closed-back headphones that are specially designed for professional monitoring, mixing and mastering your tracks. Their precisely balanced response across the frequency spectrum provides reference-monitor accuracy. They feature professional 40 mm drivers for an extended 16Hz-20 kHz frequency response. Their closed-back design maximizes isolation and provides decent passive noise cancellation. The 3 m long cable is thick enough not to tangle and ends in a 3.5 mm plug, but it also comes with a 6.3 mm adapter that makes it suitable for a hi-fi system. The sound performance of the K92 headphone is crystal clear. They come with professional-grade 40mm drivers and have extended frequency response which helps to bring out the subtle details in the music. The bass response is also very good, and we enjoyed listening to the deep punchy beats from rock and electronic dance music genres. The headphones work best with vocal and orchestra music performances where you can really pick up the individual details in the music. The AKG K92 headphones are comfortable to wear as they feature over-ear design and lightweight construction. In addition to that, their self-adjusting headband ensures a comfortable fit. They feature sleek and modern looking design, coming in black color with beautiful gold accents. They are mostly designed for home use and thus they don’t feature any controls for music playback. Their materials ensure both sturdy build quality and durability. 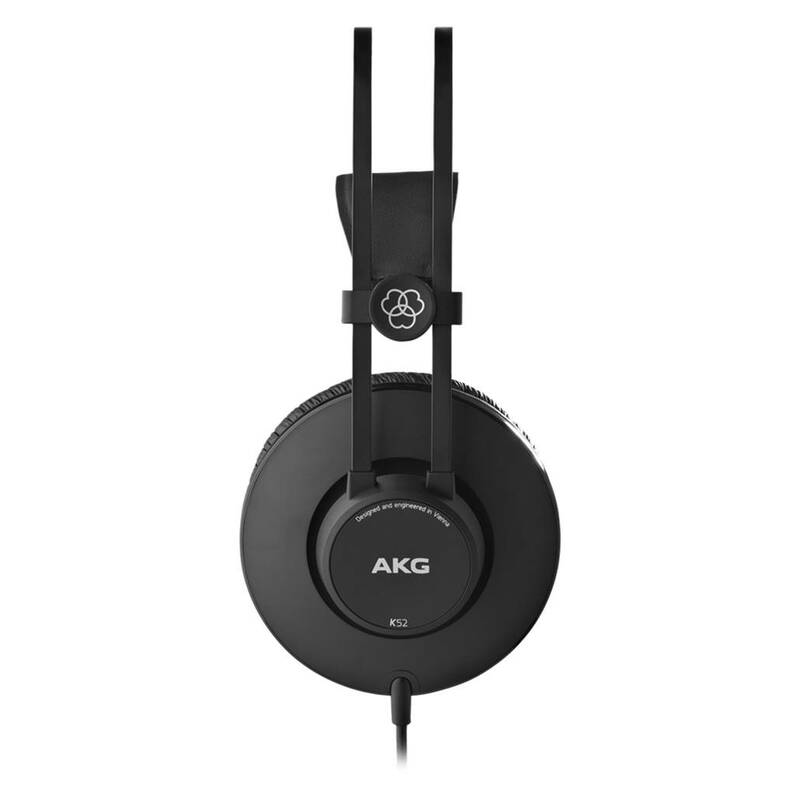 On the whole, the AKG K92 are a great-sounding, comfortable pair of headphones that would be recommended to audiophiles that love listening to music at home and are on a tight budget. 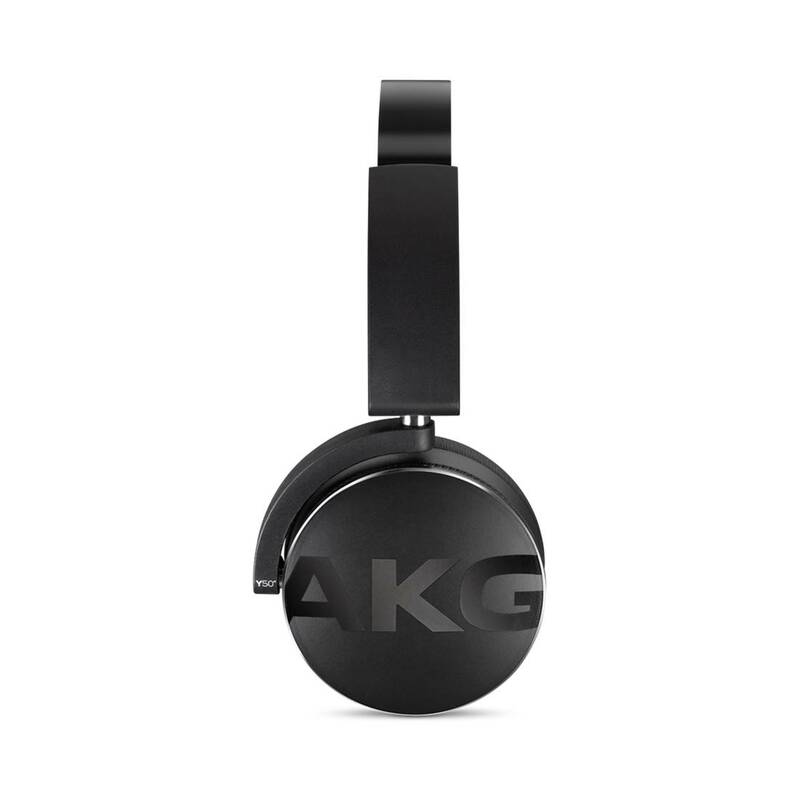 The AKG Y500 are on-ear foldable wireless Bluetooth headphones that have been designed with portability in mind. They deliver crisp and detailed sound performance that is balanced across the frequency spectrum. Featuring play and pause automation, they auto pause the music when they are taken off and resume playing automatically when placed back over your ears. Their Ambient Aware technology allows the user to control how much of the surrounding noise he wants to let in with the touch of a button. The sound signature on the AKY Y500 is best described as V-shaped, with an emphasis on the highs and lows. The midranges are clear and subtle, and do not bleed into the upper frequency ranges. The bass performance on the Y500 headphones is crisp and clean, and we did not hear any distortion at high volume levels. 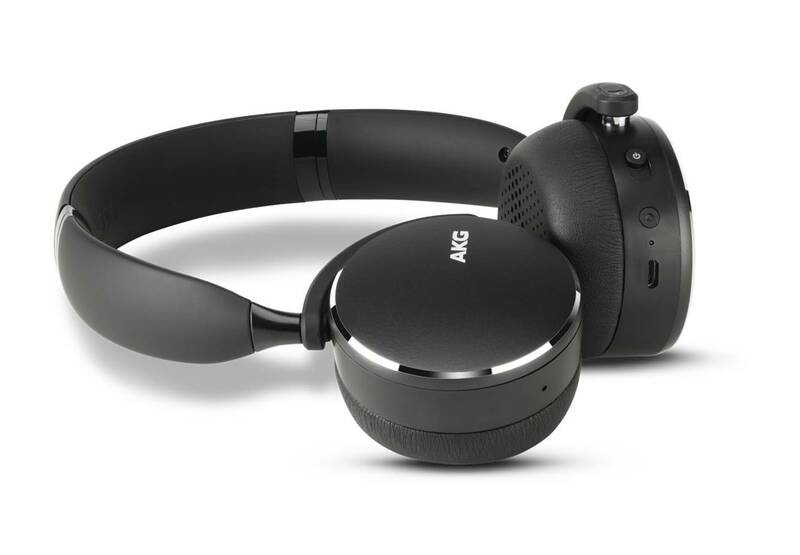 The AKG Y500 headphones have 33 hours of battery life and their Speed Charge technology allows them to work for an additional hour with a 5-minute recharge. They also come with multi-point connectivity which allows for pairing two Bluetooth devices at once and switching between both devices. Additionally, they feature multifunction on-ear controls that let you easily adjust volume and audio levels from the ear cups, without the need to remove the headphones. 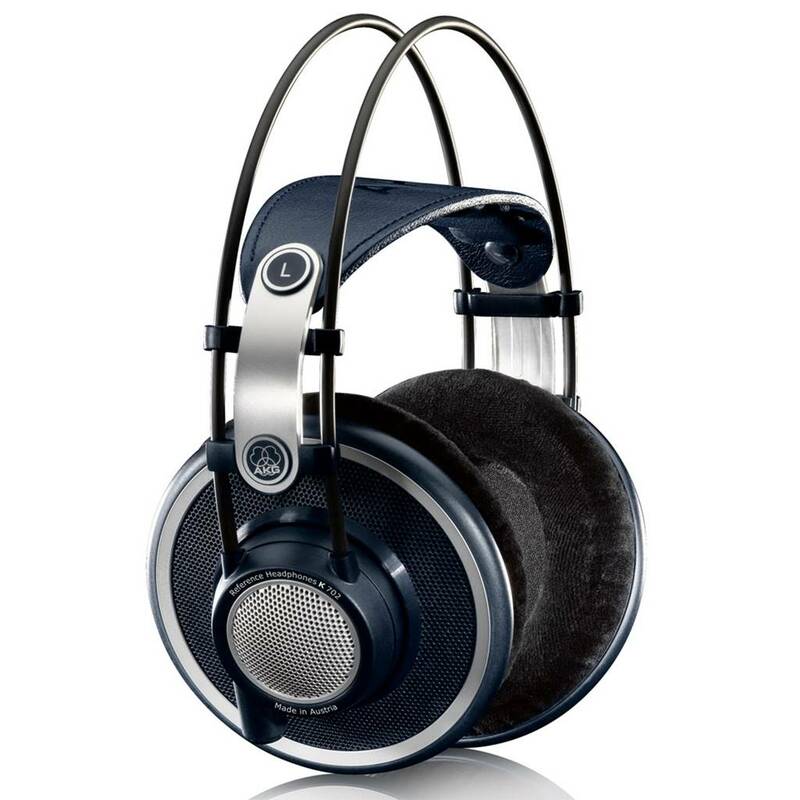 The AKG Y500 have stylish and modern looking design with attention to being comfortable. Their subtle designs and a refreshed color palette make them quite good-looking and stylish. Featuring aluminium highlights, memory-foam ear cups as well as a soft-touch headband, they ensure durability and comfort. The AKG N60NC headphones are high quality noise-cancelling headphones that have been designed for traveling. They deliver crisp and clear sound performance with a warm bass response. The N60NC cover a frequency range from 10 to 22.000 Hz and they have sensitivity of 123dB SPL/[email protected] The high-performance, active noise-cancelling technology reduces ambient noise especially when travelling, allowing the user to listen in lower volumes and to isolate himself from the noisy environments. They connect to your computer or any other device with wired connectivity, through the common 3.5 mm stereo mini-jack. The sound quality of the N60 headphones is surprisingly spacious – you get decent soundstage with these headphones with crystal clear details. The bass on the N60 headphones hits hard, and we thoroughly enjoyed listening to vocal and instrumental performances on these headphones. Furthermore, the N60 headphones have a wide frequency range which encompasses nearly the entire audio spectrum, allowing you to take in details that would normally be inaudible from other headphone setups. 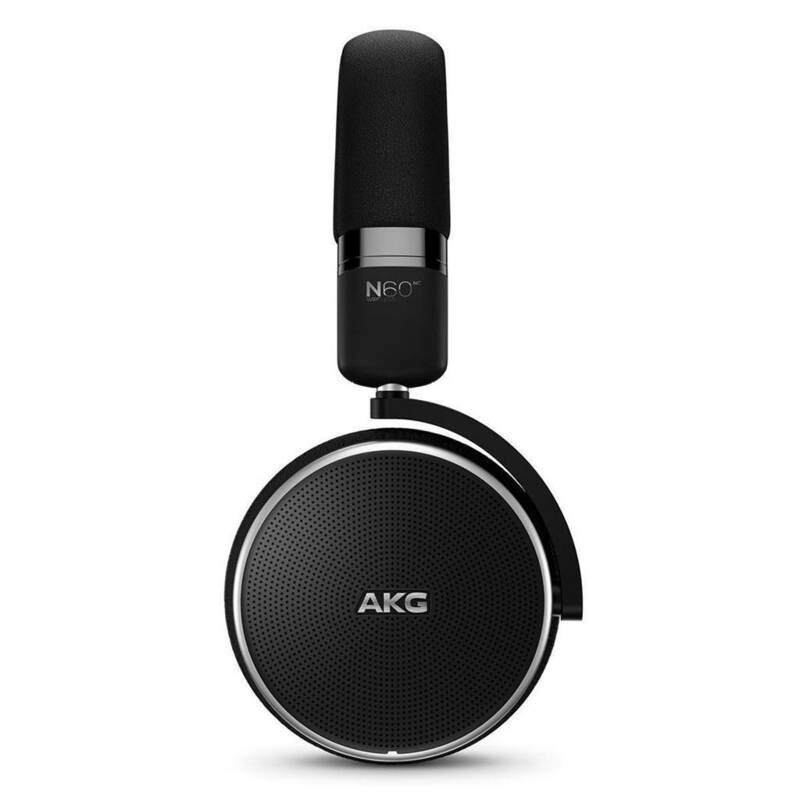 The AKG N60NC have been designed for convenient transport and storage and thus feature a 3D folding mechanism and a carrying case is included in the package. Another feature that makes them suitable for traveling is their long battery life that can keep them running for up to 30 hours, offering a long lasting listening experience. Even if the batteries die out, the headphones can still work in passive mode. They feature sleek design and the materials used, such as aluminum, memory foam and leather ensure both comfort and durability. The package also includes an one button universal remote/mic cable as well as a USB charging cable. The AKG Pro Audio K712 are over-ear open reference studio headphones that have been designed for precision hi-fi listening, mixing and mastering. In order to achieve that, they provide the listener with balanced and neutral sound across the frequency spectrum. They deliver accurate and detailed sound quality that is enhanced by their improved low-end performance by 3dB for more powerful sound imaging. Featuring a flat wire voice coil, they have very good impulse and treble response. 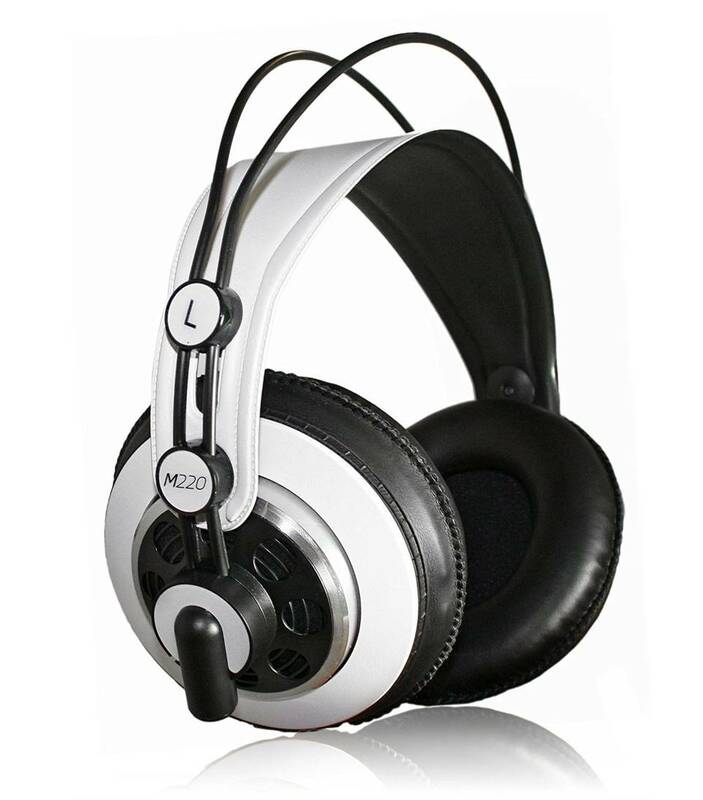 The sound quality of the K712 headphones is best described as open and analytical. These headphones deliver pretty good soundstage with detailed separation between the highs, lows and midranges. You get a sense of where the music is coming from with directional imaging. The bass output on the K712 is decent, although not as strong as other AKG closed-back headphones. These headphones are designed specifically for studio monitoring. The K712 have built-in transducers that provide consistency and accurate localization, making them suitable for monitoring and professional use. 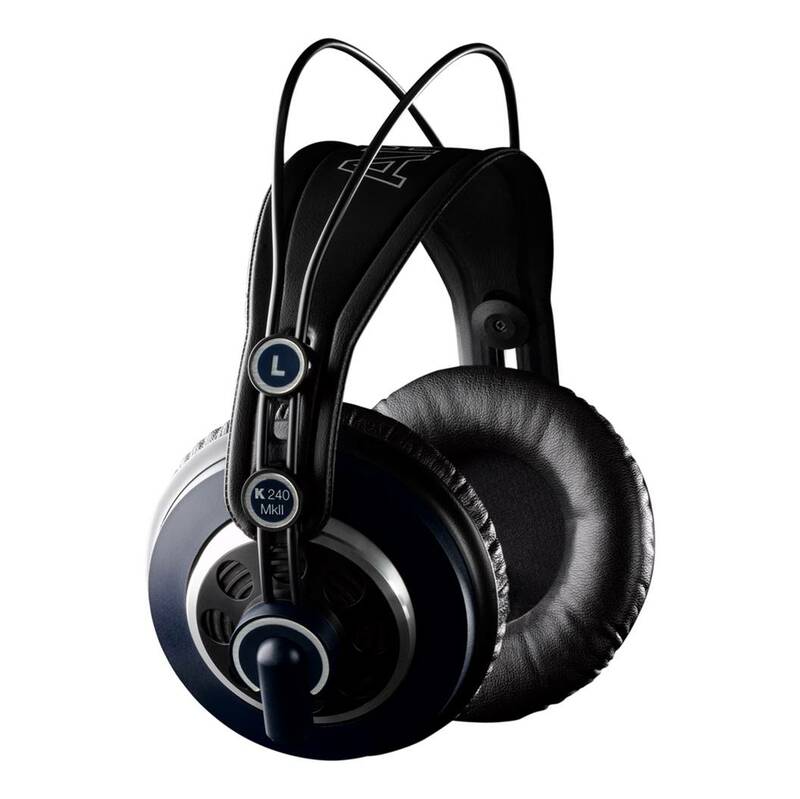 The open technology provides a spacious and airy soundstage while the over-ear design ensures wearing comfort for long work sessions.The AKG PRO K712 have a genuine soft leather headband for a lightweight and comfortable fit. In order to be connected to a sound source, they come with a 3.5 mm (1/8-inch)stereo plug as well as a 6.3 mm (1/4”) screw-on adapter They also come with a professional mini XLR connector for quick replacement of the cable. An additional coiled cable and a carrying bag are also included in the package. Their design is sleek and modern looking and their materials ensure sturdy build quality and durability. The AKG K52 are over-ear, closed-back headphones that provide comfort as well as premium sound quality for both studio and outdoor use. They feature professional 40mm drivers with high sensitivity for powerful output as well as an extended frequency response (18-20000 Hz) with solid bass, well-defined mids and clear highs. Their volume output is adequate for all circumstances. The K52s also feature a low-impedance design for compatibility with a broad range of playback devices, from professional studio gear to portable music players. 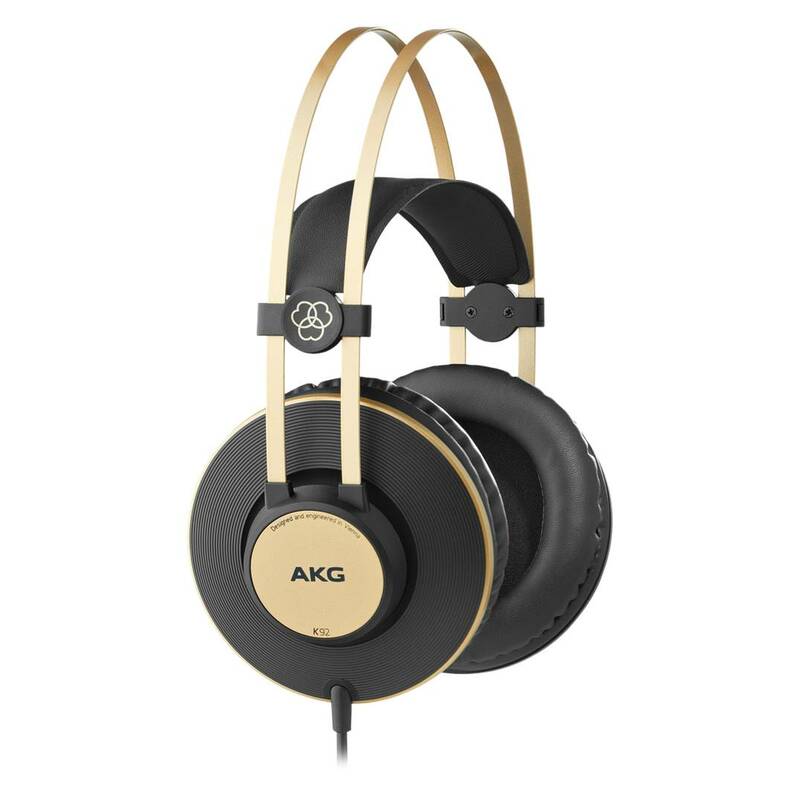 The AKG K52s have a over-ear design and lightweight construction provide comfort for long work sessions, while the closed-back design eliminates audio bleed and maintains privacy. The passive noise cancellation is achieved through an acoustic chamber, which sits between the ear cup and the hinge that connects to the headband. These headphones also come with a single-sided cable for ease of use. The self-adjusting headband provides a personalized fit, ensuring comfort during long listening sessions. With a lightweight yet durable design, high-quality components and replaceable earpads, the K52 headphones ensure both robust build quality and durability. Their design is sleek and modern looking. On the whole, the AKG K52 would be certainly recommended to anyone looking for high-quality and comfortable studio headphones on a budget. The AKG M220 Pro are high definition, large diaphragm, semi-open, over-ear DJ/studio headphones that deliver premium sound quality. Their frequency response comes out flat and balanced, making them suitable for professional monitoring and mixing. Their 30 mm dynamic drivers deliver clear and accurate sound across the whole frequency spectrum and their semi-open design creates a wide and almost three dimensional soundfield. The AKG M220 deliver enough volume output to be used wherever you want. They have a lightweight, flexible frame as well as a self-adjusting suspension headband for comfort during long listening sessions. Their low impedance makes them suitable for pairing with a phone or a portable music player without the need of external amp. The materials that have been used for the structure of the headphones ensure sturdy build quality and durability. The over-ear design adds to comfort and makes them suitable for long working hours. The package includes a removable cable, a 3.5 mm to 6.35 mm audio jack adapter and replaceable earpads that ensure durability. Both the adapter and original jacks are gold platted for crisper sound. Overall, the AKG M220 Pros are a great sounding pair of headphones and they are definitely recommended to audiophiles on a budget.